Drug Policy Futures is a global network of NGOs with a focus on prevention and recovery. FORUT is a Norwegian development NGO spcialized on Alcohol, Drugs and Developemtn and with a partner network in Africa and Asia. Not all is bad, but it’s not all good either. This is the assessment of ten years of drug policy debate in the UN system, presented in the report “Peoples’ Voice” that was recently co-published by Drug Policy Futures and FORUT. The report has a critical analysis of the ongoing drug policy discourse and also a recommendation for policy areas that national governments should prioritize in the next ten years. - We are against any war on drugs. Just as much as we are against the ongoing war for drugs. Extremist positions are both risky, unrealistic and counterproductive, comments Dag Endal, project coordinator in FORUT and coordinator of the Drug Policy Futures (DPF) network. He underlines that no silver bullets exist. - What the world needs now is a comprehensive, balanced and knowledge-based drug policy, on the international level as well as in each country. 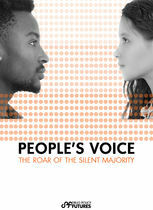 The author of “Peoples’ Voice” is Kristina Sperkova, president of IOGT International. She explains that the title of the report “Peoples’ Voice” is chosen to make heard the concerns of the very large and very silent majority out there. - Around 95 per cent of the world’s adults do not use illegal drugs. The large majority of people do not want drug use normalized in their neighborhoods and in their communities. Millions and millions suffer innocently by other people’s drug use; children, parents, spouses and many, many more. Their interests must also be recognized and protected. Nothing can compare with a low drug use prevalence in the population in terms of reducing drug-related harm. Download the report here in pdf version. The new DPF report can be summarized by the two slogans “Action. Now” and “Prevent. Don’t Promote”. The report concludes that time has come for action: “There is no need for more words or declarations. Unless the implementation of the recommendations from UNGASS and the 2019 Ministerial Declaration is given more attention, ineffective and harmful solutions to drug use will continue to grow like weeds. 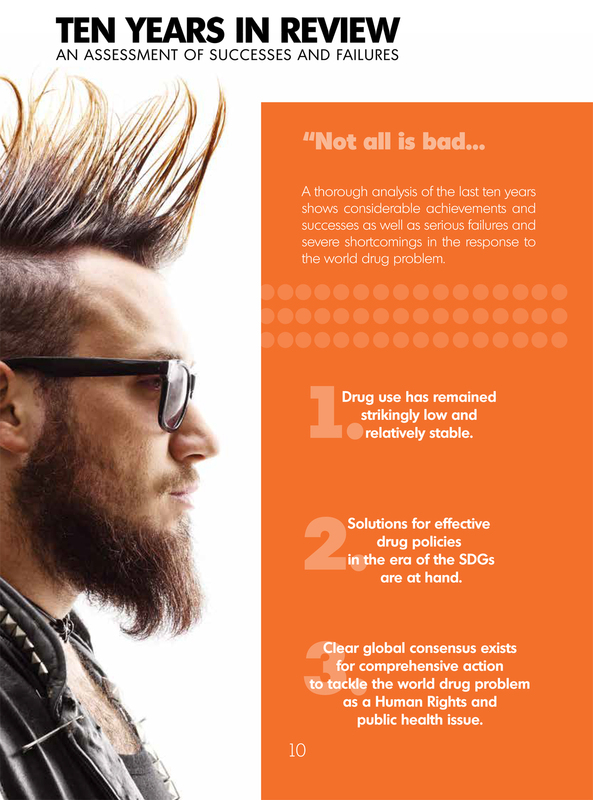 What drug policies need now is action based on evidence and experience”. 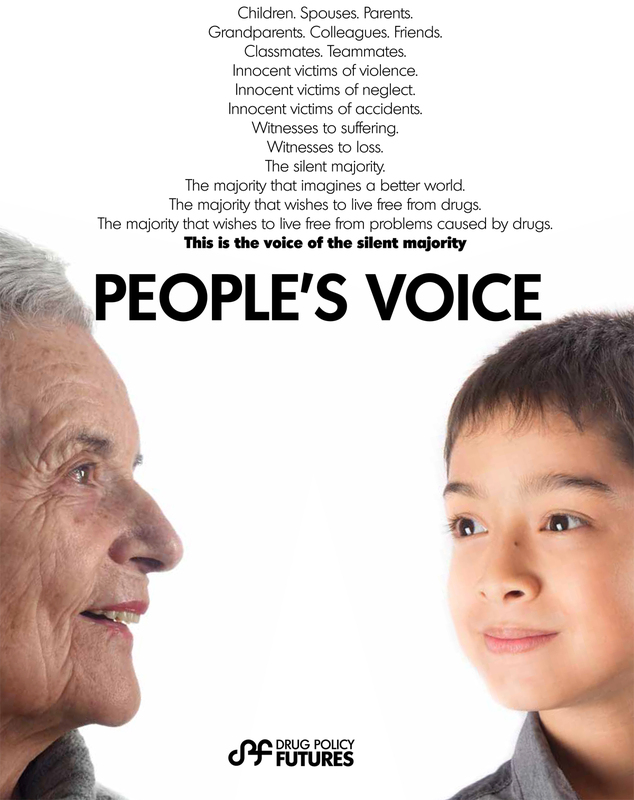 The first part of “Peoples’ Voice” presents an assessment of successes and failures in global drug policies the last ten years. As one of the most important successes, the report points at the strikingly low and relatively stable levels of drug use prevalence. The report continues with a critical analysis of the ongoing drug policy discourse, including the understanding of “public health”, the role of harm reduction, the misleading concept “war on drugs” and the interpretation of “human rights”. The UNGASS Outcome Document from 2016, and now also the Ministerial Declaration from the CND session in March 2019, offers a broad menu for a comprehensive and balanced drug policy. – We should not believe in the notion that everything has been tried and that nothing works, says Dag Endal. – The problem is rather that too many countries have tried too few of the available effective interventions. The problem is not with the UN drug conventions. The problem is that many governments do not make use of the full potential of the conventions. The third section of the report “Peoples’ Voice” is a presentation of 13 areas of action that the Drug Policy Futures network recommends governments to prioritize for the coming ten years. Among these areas are reducing drug use prevalence, investing in prevention and mobilizing local communities. – The recommendations are based on the fact that there exists a broad middle way – the third way – in drug policy, between the two extremes “war on drugs” and the ongoing war for drugs, comments Kristina Sperkova, the author of the report. - This war for drugs is a serious concern for the future. We are witnessing a global, well-funded propaganda machine to change peoples’ perception of narcotic drugs, says Kristina Sperkova. – It is becoming increasingly clear that the ultimate goal of this propaganda war is to make narcotic drugs just as accepted worldwide, just as widely used, just as integrated in the culture as alcohol is today in Western societies. We know what this will cost in terms of human sufferings, disease and death.